T cells attacking cancer cells. 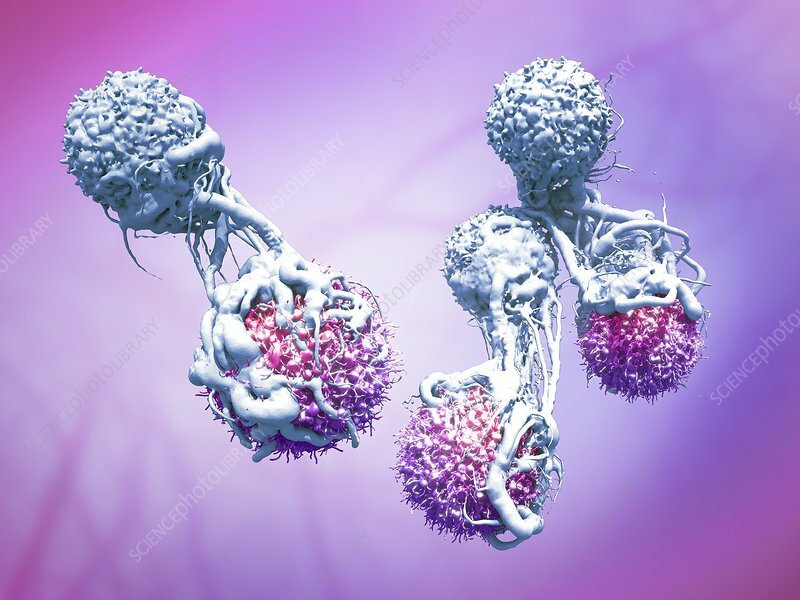 T lymphocyte white blood cells (white) destroying cancerous cells (purple). T lymphocytes, or T cells, are a type of white blood cell and a component of the body's immune system. They recognise a specific site on the surface of a pathogen or foreign object (antigen), bind to it, and produce antibodies or cells to eliminate it.